Journey into Europe is a crash course on modern European thought regarding Islam and Muslim immigration. In Journey into Europe, Akbar Ahmed takes the temperature of Europe’s Muslims via interviews in which they describe the current political and social situation. Students, imams, and professors are all given airtime in this expansive book. Topics ranging from terrorism to assimilation to rising nationalism are broached, along with digressions about the long history of cooperation between the Islamic world and the Christian world. Many of the passages in this book are eye-opening. In one instance, a Bosniak (i.e., Bosnian Muslim) imam named Hišam Hafizović complains about how Bosnian Serb children are being taught that the war criminals of the 1990s are “heroes.” In another, Professor Ahmed expounds upon why European architecture during the Middle Ages was inferior to its Islamic peer. The book has elements of both a history of European-Islamic relations (for example, of the Ottoman Empire, which was both European and Islamic) and a sociological tract. Contemporary politics come up as well, with special emphasis on the recent migrant crisis. Ahmed’s writing is strong, excellently humanizing people who would otherwise be statistics. Still, the book does not examine Muslim communities in Europe with the same incisiveness that it dedicates to the European status quo. Ahmed talks about the ancient atrocities committed by Europe’s Christian churches but does not go too far into the current issue of terrorism in the global Muslim community. Ahmed also dips his toe into academic debates concerning the more fractious moments in European history, including the “convivencia” between Christians, Muslims, and Jews in Andalusia and the Emirate of Sicily. While Ahmed gives time to those historians who reject the notion that all was harmonious during those epochs, he ultimately uses them to map a “plural” Europe for the future. The text does not spend enough time on what could be the most pressing question for Europe’s future: What will the backlash from multiculturalism look like? 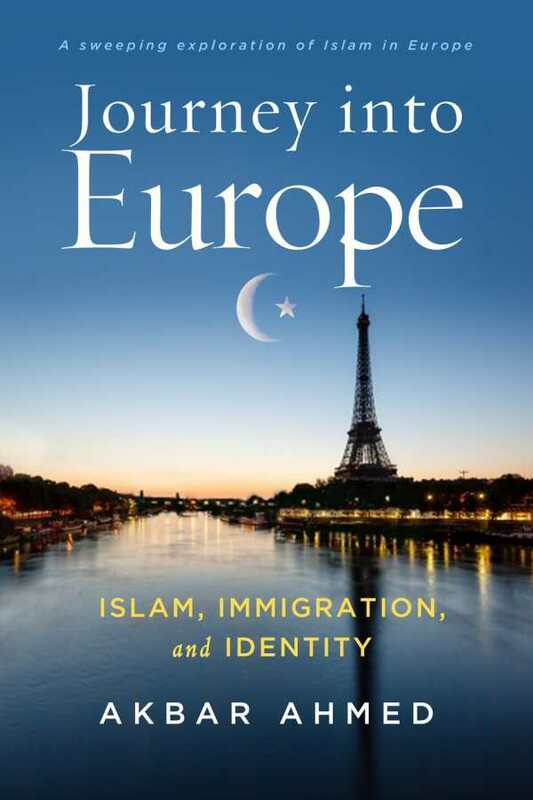 At various times a travelogue, a popular history, and a sociopolitical text, Journey into Europe is a good resource for those wanting a crash course on modern European thought in regard to Islam and Islamic immigration.